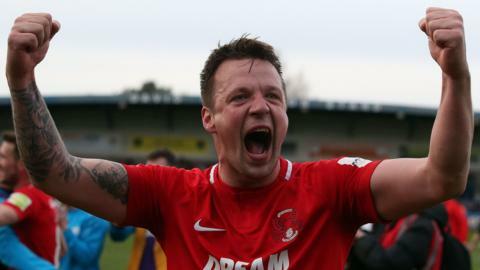 Leyton Orient win 3-1 on aggregate at Telford to book an FA Trophy final on 19 May against AFC Fylde, who won at Stockport. AFC Telford United sign former Wolves striker Sylvan Ebanks-Blake following a short trial period. John Mills scores the wiunner for Hereford FC as they beat 10-man AFC Telford to reach round two of the FA Cup. AFC Telford United appoint former Wolves assistant manager Rob Edwards as boss to replace the sacked Rob Smith. BBC Sport picks out some of the players and teams to watch in this weekend's second round of the FA Cup.